Create Search Engine for your online website, Intranet, CD and DVD in Minutes! 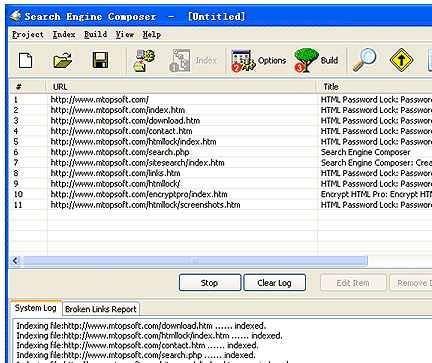 Search Engine Composer, to build a search engine for your online website, Intranet, CD and DVD. The tool also supports visitors search reports, here; top 50 keyword reports, 50 recently performed searches reports, and search activity reports are displayed. recently performed searches report, and searches activity reports. Compress and decompress files, and encrypt archives. A place to record memories both visually as well as audibly. Streams media from TV stations and radio channels.